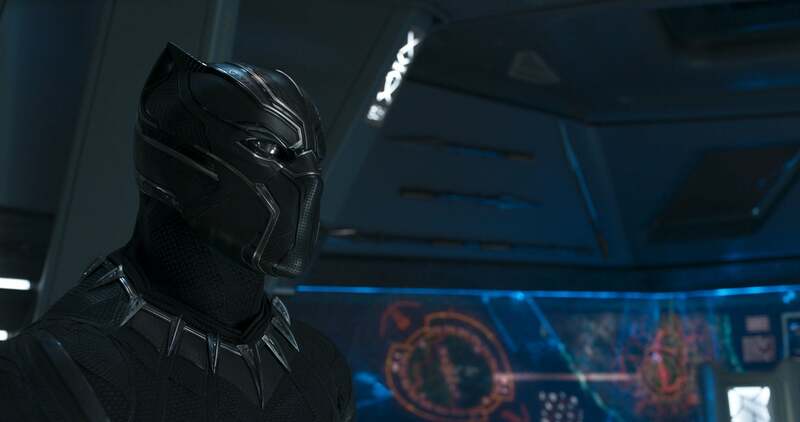 "One of the questions [Coogler] was trying to ask and answer is what it means to be African in the Marvel Cinematic Universe," co-writer Joe Robert Cole told us. "Which I think, in the back of your mind with this property, is always there." Cole was one of the first people hired to make Black Panther, before even Coogler himself. He pitched a story to Marvel and had a treatment, but was sort of in a holding pattern until a director came on board. "I knew I was not going to write the movie before there was a director on it," Cole said. "I believe when they got into negotiating, [Coogler] saw [my treatment]. But then he had his own themes and ideas and vision for the movie. It was my job, at that point, to help him bring the movie he wanted to make [to life]." Once Coogler came on board and started writing with Cole, he brought in his own creative team as well. 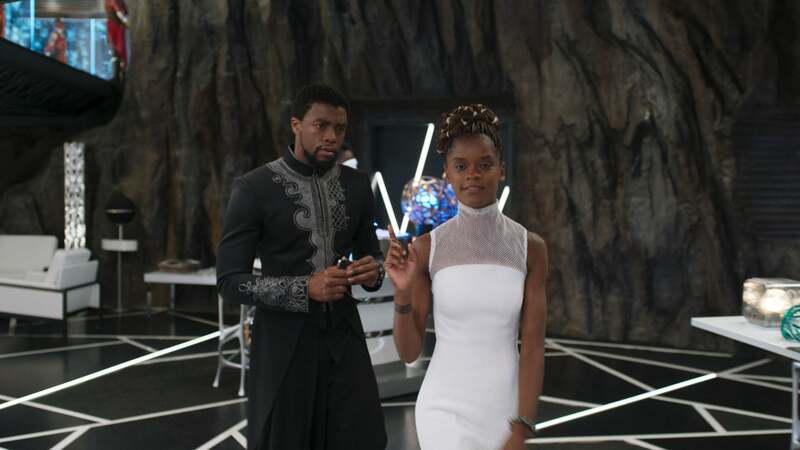 One of the key hires was production designer Hannah Beachler, who was tasked with figuring out what Wakanda looks like in the MCU. For her, the first question was simple but crucial: Where is Wakanda in Africa? "Even answering that question was a big question because [in Iron Man 2] there's a picture where of Wakanda on the map," Beachler told us. "And I said to Ryan, 'Is it there?' And we asked [Marvel Studios president] Kevin Feige, 'Is it there?' And he's like, 'I don't know, guys, where do you want it?'" They decided on a a location on the Eastern part of the continent, below the Sahara desert. Once that was set, Beachler began researching cultures and tribes in that area, but that was just the first of many, many inspirations. She also looked at all eras of Black Panther comics, from Jack Kirby and Stan Lee in the '60s, to the Panther's Rage storyline of the '70s, all the way to the first storyline from the current run by Ta-Nehisi Coates and Brian Stelfreez. And while she blended elements from all of them, the original comics were particular helpful. "I really wanted to spend time with the Jack Kirby designs because I wanted to understand that time period. What was going on in the world? What would he have known about Africa?" Beachler said. She was fascinated thinking about how, at that time, those creators didn't have easy access to visual aids showing what Africa really looked like. What she found was they primarily used inspirations from the Timbuktu area of Mali, so those designs, coupled with superhero archetypes, were another source for her to draw from. "In that sense I am reaching back to the canon of it," Beachler said. Cole, too, talked about going back to the canon of Black Panther when writing the script with Coogler. "You read all the comics. You look at the canon and you kind of extrapolate out," he said. "What themes do you want to play with? What stories make sense? What's happening in the world? How do you bridge America with Africa? You just try to investigate ways to do that in character, in personal ways, so that they can resonate." Comics and geography are only two of the elements that went into creating the country. Obviously, this Wakanda isn't in the '60s, it's now - and since it's so technologically advanced beyond the rest of the modern world, Beachler's research also extended into future technology. "There was a lot about figuring out how many years in advance they were. A hundred years? Two hundred years? And in the end, we kind of settled on a number and then we started looking at tech that was coming," Beachler said. "TED Talks and things like that. I talked to a lot of architects who were doing futuristic cities, who are designing Google cities, and anthropological architects, geologists. I did a lot of research on Elon Musk and his work with the Hyperloop. So all of that. Then you reach back into tradition, and I thought to myself 'How is it that this one specific thing evolved over time and became useful as a technology?'" The "one specific thing" she's referring to is vibranium, a fictional substance which is Wakanda's most precious natural resource, and the key to the entire country. It drives everything there. Buildings, technology, clothes, culture - it's all because of vibranium. The problem is, beyond being an unbreakable metal in Captain America's shield, there were no defined rules about it, even in the comics, where its properties had essentially mutated for decades. Both Cole and Beachler laughed when asked about defining what vibranium can and can't do and how that influenced the film itself. "It was a process," Cole explained, "because you're actually setting up the boundaries of what your story is and what this magical property is. And so we had a lot of discussions about, 'What can it do? What can't it do?' And some of it was discovering what we wanted the rules to be as we were discovering the story and what we needed it to be." For Beachler it was even more tactile. "This is where the geologists came in," she said. "I spent a lot of time figuring out the stages of vibranium because up until this point we've really only seen it in Cap's shield. It has a very stainless steel look. So it looks like they have to mine it. That's where we started." Beachler also knew what the Black Panther suit was going to look like, which meant it was another dot to connect. "So I went through all of that research with vibranium," she said. "Like, how does it go from this raw form to an ore to fabric to a stainless look, and then what does it look like when it's mined? That exists in the world. That was our foundation for everything." But a foundation, by definition, is only a beginning. After the story was written and the world designed and built, there was still the casting, filming, editing and music. The journey to get Black Panther on the big screen was a long one, but it started with the ambitious ideas of a few select people who were incredibly passionate about bringing this world to life. 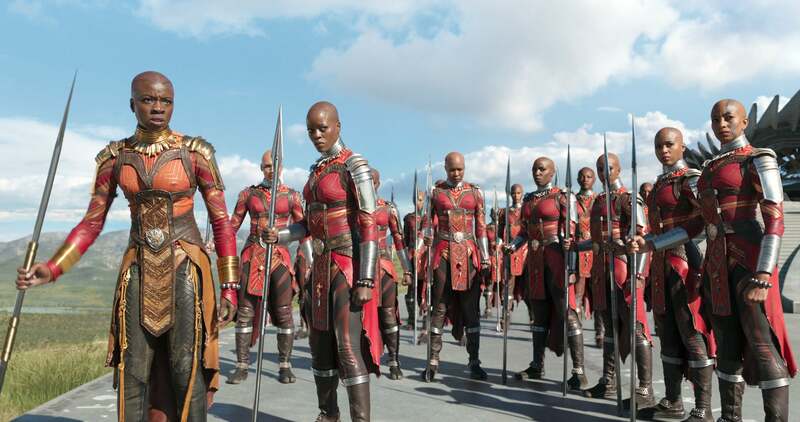 "We knew we wanted Wakanda to be a big character," Cole said. "We got to create this world and we wanted to root it as close to real-world Africa as possible. And so it was really world-building in its truest form." Black Panther opens February 15.